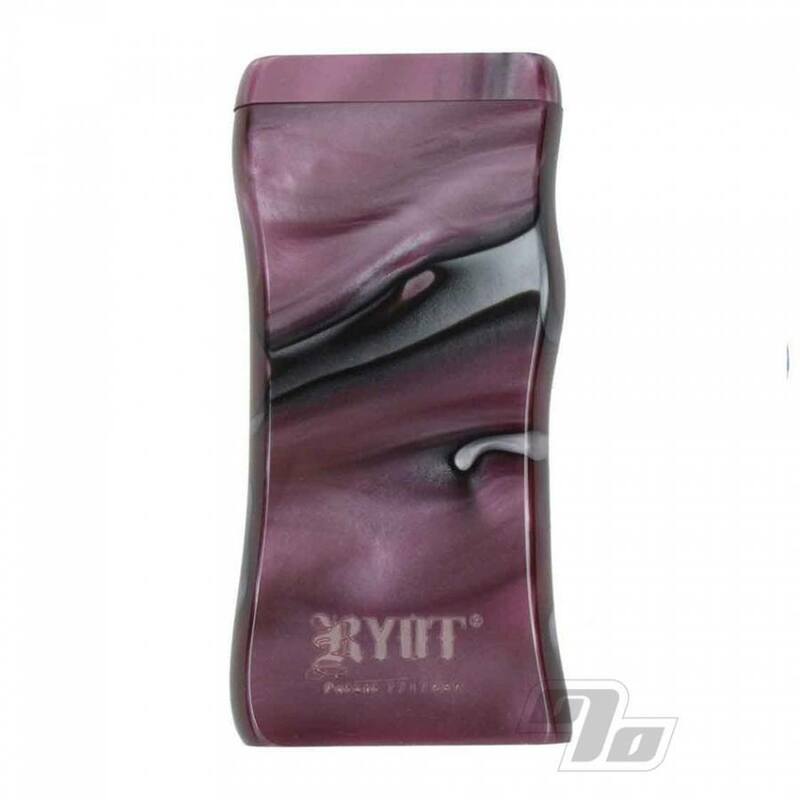 This RYOT Dugout smoking system starts with a unique, Purple and White marbled acrylic body and finishes strong with a dual-purpose magnetic twist top lid. This not only keeps the lid closed but also secures a handy steel poker in the bottom of the dugout. Same size as your standard dugout, each consists of a box, a poker, and a Free cigarette style One Hitter Bat (hair over 3 inches long). 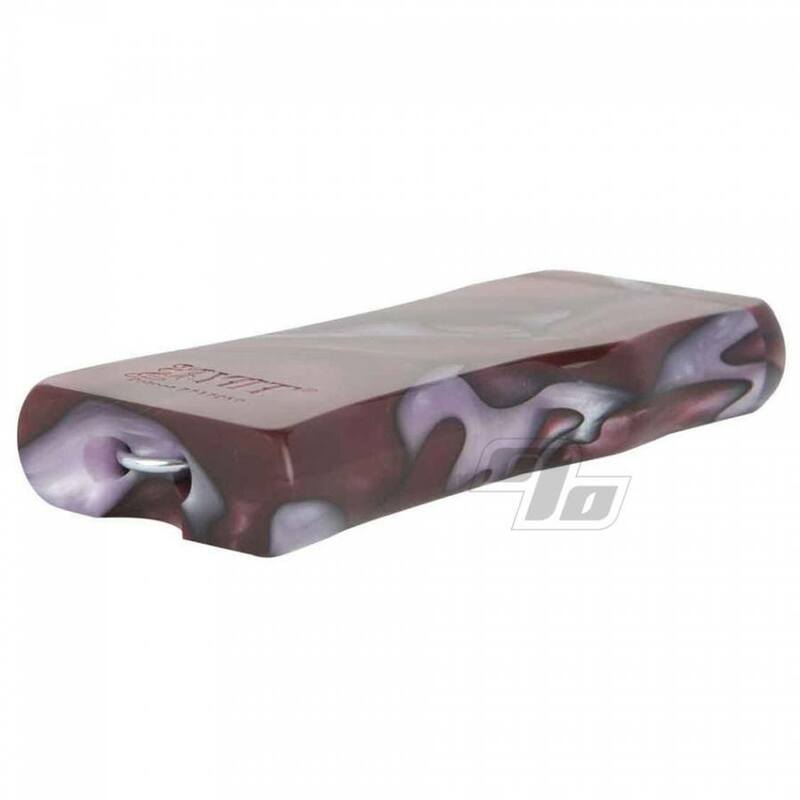 With the dugout itself you have two compartments; one holds the one hitter bat, the other is used to store your herbal material. The poker and lid is held in place by the internal magnet. Easy to clean thanks to the non-porous material. Overall, a precision machined and beautifully finished dugout. You really can't go wrong with the RYOT Dugout line.